Over the past few weeks, the Nascent Sanhedrin in Jerusalem has now come into its final messianic role and has established its future potential as the global institutional Court of International Law for the One-G-d of Israel on Planet Earth. So today the blast of the shofar will herald a new “Era of Messianic Enlightenment” on the eve of Rosh Hashanah, October 3, 2016 in the Land of Israel. This year, Rosh Hashanah 5777, a new Mitzvah (Biblical commandment) will be instituted for the Jews and Lost Israelites all around the world to observe. 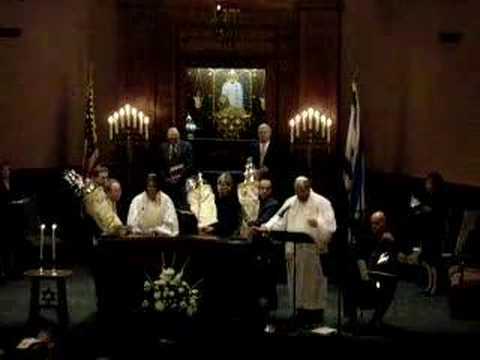 It will be a two-line recitation that has not been uttered in the mouths of the Jewish people for almost 2,000 years. As the Shofar blast rings forth over the city of Jerusalem, this Jubilee Rosh Hashanah will also include a transformational call for all 12-Tribed Israelites (Klal Yisrael) to recite a new mitzvah (Biblical commandment) not spoken since the Temple of Herod was destroyed over two millenniums ago. It is not complex mitzvah, for you only have to read two lines in his simplicity. Yet it will be a mitzvah that will resound around the world as a declaration that the final era has now arrived before the Jubilee higher dimensional era of messianic enlightenment with King Messiah (Melekh HaMaschiach) arrives on Planet Earth. The prophetic return of the Jews in the Diaspora and the Lost Ten Tribes of the House of Israel is now in the preparatory stage of being fulfilled. The prophetic importance of this declaration is that the time has come to anchor literally the idea that this is the time to rebuild the Jewish Temple on the Temple Mount in the capital of Israel in Jerusalem. Not many are aware that in secret, the New Great Sanhedrin in the Jerusalem has been conducting several months of deliberations weighing on a Divine Mandate that came from the “Courts in Heaven” to be fulfilled. Once the mandates have been fulfilled, the Nation of Israel inaugurated at the mount called Sinai could again begin anew to count the Jubilee cycles beginning on this eve of Rosh Hashanah on October 2, 2016. Unbeknownst to all but a few witnesses, as Rosh Hashanah ended twelve months ago, the nascent Sanhedrin concluded months of deliberation by ruling that certain conditions had been met requiring the Nation of Israel to begin counting the Jubilee cycle. “Blessed art thou, Ruler of the Universe, who sanctifies us in his commandments, and has commanded us to count the sabbaticals and the Jubilees. This was a dramatic event for the Jewish Jerusalem Sanhedrin. These few words spelled out succinctly a new Jewish legal provision that is now a mitzvah for all Jews and Lost Ten Israelites by the Sanhedrin after it was lost when King Herod’s Temple was destroyed in 70 CE almost two thousand years ago. This week, it will, for the first time be reinstituted as we prepare our lives as we stop upon the shoreline of our “Present World (Olam Zeh) and leap through the 4th dimensional veil into the “World to Come” (Heavenly Garden of Eden) and Gehinom. Before the provisions of the mitzvah in the Written and the Oral Torah law could be approved by the Sanhedrin, it must be a mitzvah not just for an individual, but rather it must be a National Mitzvah; a provision which acknowledged that this was a time in which most of the Jewish people worldwide must be living in the Land of Israel. Before the “counting of the Jubilee”, the Sanhedrin, serving as the "bet din" (rabbinic court) also earlier ruled that most the Jews worldwide have returned in aliyah to live in the Land of Israel. This opens the door for the Lost Ten Tribes of the House of Israel to awaken to their new reality and relationship and accept with emunu (complete faith in the Sovereignty of G-d and teshuva (complete repentance with correction) and that now the Jubilee Year becomes a national mitzvah for all 12-Tribed Israel of the House of Judah and the Lost Ten Tribes of the House of Lost Israel. Was it a coincidence or Divinely led that the timing required that at least 600,000 Jews males, that was equal to the number of the Children of Israel that escaped from Egypt in the Great Exodus and was led to the Land of Israel under the command of Joshua were also now living in “aliyah” in the sacred and covenanted land of HaShem in the Promised Land of Israel. It was an accepted premise by the rabbanim that the Jubilee Year cycles have been counted since the days of the Jewish cleric Ezra the Scribe. It is then well accepted by the rabbanim that this is now also the 50th Year of the famous prophecy written in that Jubilee Year of 1217 called “Rabbi Judah ben Samuel’s Jubilee Prophecy gives the Year of the Messiah”. So it appears that we are now on the threshold of the futuristic Messianic Era of Melekh HaMaschiach (King Messiah). As soon as Rabbi Hillel Weiss appeared to offer a solution to the Mystery of the Lost Jubilee, he immediately added the word “however”. Then he offered a conceptual solution that was accepted by the Sanhedrin. Rabbi Hillel Weiss – “The blowing the shofar, performed on Yom Kippur, has not yet been reinstituted as part of the mitzvah of Jubilee, but if an individual feels so inclined, he can do so without a blessing. The Jubilee Medallion issued by the nascent Sanhedrin. The Jerusalem Sanhedrin has now voted to reinstitute the Jubilee. The first act of commemoration was the issuance of the Jubilee Medallion which the monetary proceeds will go for the building and the maintenance of the Third Temple in preparation to be built. Also the proceeds of the Medallions will also be used for the acquisition of herds of animals, grain harvested in Israel, and the production of wine used during the sacrificial services in the future. To signify the reinstitution of the Jubilee, and also to commemorate the Jubilee of Jerusalem, the Sanhedrin has issued a medallion. One side is engraved with an image of Solomon’s Temple, flanked by two shofars, symbolizing the Jubilee. The other side shows a lit seven-branched menorah, two cherubim, and a Hebrew inscription stating that the third inheritance of the land of Israel by the Jews has officially been declared. The Sanhedrin is selling the medallion and setting aside the proceeds for use in the Third Temple. The Medallion is engraved with the image of Solomon’s Temple, that it flanked by two shofars that symbolize the Jubilee celebrations. On the Obverse side there is a seven-branched menorah, two cherubim, and a Hebrew inscription which declares that the “third inheritance of the Land of Israel” by the Jewish people has been declared by the Sanhedrin. Rabbi Hillel Weiss – “The Medallion does not fulfill the Torah provisions and the commemorative Medallion cannot be considered as sacred, even as the funds will provide for the Temple sacrificial services themselves. So now we stand on the cusp potentially of entering a new Era of Messianic enlightenment. For the last 2,700 years the Lost Ten Tribes of the House have continued to wander through the wilderness not knowing their true inheritance from G-d. Now is the time to learn, reach out to our brothers of the House of Judah and to awaken our awareness and reach out to the positive relationship of Maschiach (Messiah). It is time for each one of us to repent of our transgressions, and return back in repentance (teshuva) and support the Planetary Tikun Olam (repairing the breaches with acts of kindness performed to perfect or repair the world) while returning back into the unification of the brotherhood of 12-Tribed Israel. This is the year to blow your shofar, repeat the two new mitzvahs of the Sanhedrin and cry out to the G-d of reclamation, redemption and restoration and the Maschiach ben David to restore the entire House of 12-Tribed Israel (Klal Yisrael). So consider today, that potentially the world as you know it to be may be on the teetering shores of the of the Olam HaZeh (our Present World) while Gan Eden is moving closer and closer to Planet Earth preparing to usher in a new era of higher dimensional Messianic Consciousness. This is expected to include the awakening or the revealing of Metatron, the Angel of the Divine Present who is soon to be Melekh HaMaschiach (King Messiah). Queen Esther and Benjamin Netanyahu: Are they agents of the Divine preventing a Holocaust and Genocide of the Jews? Listen to them SQUIRM From Overreach! BibleSearchers Reflections – “Born in Speyer in 1140, Rabbi ben Samuel died in February 22, 1217 in Regensbug. He was one of the fathers of Chassidei (Hassidic Judaism), a movement of Jewish mysticism in Germany different than Rabbi Lurias Kabbalistic mysticism, where the Chassids emphasized strong moral ethics and prayer. These years were the time of the Roman Christian crusades into the Holy Land between the years of 1096-1270. During that time also a flourishing of correspondence that was carried back and forth from Jerusalem and the Holy Land and Europe rabbis in Worms and Regensburg in Germany. It was in these letters that they knew about Saladin the Great and Saladin’s Sunni Ayyubid Dynasty in Egypt. It was in this same year, a Year of Jubilee that Rabbi Judah ben Samuel began publishing his biblical calculations called the Gematria, plus his astronomical observations gave us this summary which we can read today. Rabbi Judah ben Samuel - “When the Ottomans (Turks) – who were already a power to be reckoned with on the Bosporus in the time of Judah ben Samuel conquer Jerusalem, they will rule over Jerusalem for eight jubilees (1517-1917). So today, as we stand upon the teetering shores of the Olam Ha’zeh (our Earthly World), and preparing to make that existential jump into higher dimensional world of the Olam Ha-ba (the future World Beyond), we then realize that this has been a prophetic journey for each of us awaiting the “Secret Things of G-d” that He is preparing to be revealed to us. Is it not a coincidence with the prophetic expectations that Rabbi Judah ben Samuel’s 800-year prophecy that started in the Jubilee year of 1217 CE will end beginning with the Jewish High Holidays on October 3 – 25, 2016, (Jewish year of 5777)? At this time, it is expected that the “Messianic End Times” will begin. These facts hold special significance in the hearts of billions of Jews and “Lost Israelites”? Let us look at some of these amazing coincidences and begin to understand the immense significance that these are having in each of our lives and the lives of every inhabitant on Planet Earth. For decades, after the genetic code of the priestly DNA was broken and we now knew that certain unknown men were father to father descendants of the Cohen or the priestly lineage of the Jews who served in the 1st century Temple of King Herod in Jerusalem, a new dimension came into understanding. Since that day, Jewish Temple Mount leadership have been preparing for the return of King Messiah (Melekh HaMashiach) and the restoration of the temple sacrificial services as directed by HaShem, the G-d of Israel to Moshe Rabbeinu (Moses our Teacher) at the mount called Sinai. They have zealously been preparing all the articles that would be part of the temple service including a New Golden Menorah, and yeshivas that young genetic haredi Jewish young men have given their lives to live in isolated purity preparing for this moment of time when all things will be restored. This will also include all the harbingers of the past prophetic eras that have been pointing and preparing each of us for this moment of time in history, when the up-swelling of Jews and Lost Israelites devotion will jettison the G-d of Israel to open the gates of heaven and begin with the final restoration of the Jewish House of Judah in Israel and the Diaspora and the reclamation, restoration, and redemption of the Lost Ten Tribes of the House of Israel. Rabbi Baruch Kahane, one of the most prominent Jewish scholars who has studied for decades concerning the complicated temple services in the Temples of Solomon, Zerubbabel and King Herod, was nominated by the nascent Jewish Sanhedrin in Jerusalem in August 2016, just before the High Holidays of the Jewish people. This was done in a precautionary purpose just in case the delicate political conditions on the Temple Mount were to change and allow the Jews to worship and offer sacrifices on the Temple Mount. As such, the High Priest could within a week begin the sacrificial services on a site near the ancient site of the Beit HaMikdash (the Holy House of HaShem). Rabbi Baruch Kahane has been a prominent member of the Halacha Berurah Institute for decades; first instituted by Rabbi Avraham Isaac HaCohen Kook, the first Chief Rabbi of Israel. Within the Berurah Institute, Kahane’s specialty in scholarship has been on the intricate Jewish laws on managing the temple services and helping the priests to perfect these rituals in preparation for the day in which the Jewish temple services can once again be served on the Temple Mount where the ancient temple once resided. This has been especially true during the last several years during which the spring Korbin barley sacrifices have been reenacted during the Spring Pesach Harvest Festival. Understandably there has been a vigorous uproar in the “lands of the dwelling” where the Lost Ten Tribes of the House of Israel made their last homeland in Northern Gaul (Europe). Today, in collusion with the UN, these Northern European nations, which were created between the 3rd c BCE and 5th c. CE, along with the United Nations today, have done every anti- Semitic thing they can conceive to deprive the Jewish Pioneers and Patriots living in Shomron (Samaria) and Judea (Roman Judea) today of living and dwelling in peace in the ancestral homelands of their Patriarchs Abraham, Isaac and Jacob. In spite of every attack, an elevated state of consciousness is daily increasing as the “arousal from below” with the guidance of the Maschiach ben Yosef (Messiah son of Joseph) is sweeping the Evangelical Christians in America plus large delegations of European Israelites including even sizable delegations are arriving from Africa; all of whom are flocking by the millions to Old City Jerusalem and the Kotel. There they celebrate in one accord, with the Jewish people in Jerusalem during the Spring Harvest Festivals of Pesach (Passover) and Shavuot (Festival of Weeks called Pentecost) and the Fall Harvest Festivals of Rosh Hashanah, Yom Kippur (Day of Atonement) and Succot (Festival of Dwellings). The United Nation’s UNESCO seeks to grant total autonomy of the Temple Mount and Western Wall to the Islamic Wakf. Over the last few months in 2016, there has been increasing harsh rhetoric concerning the United Nations granting total autonomy of the Temple Mount to the Islamic Wakf. 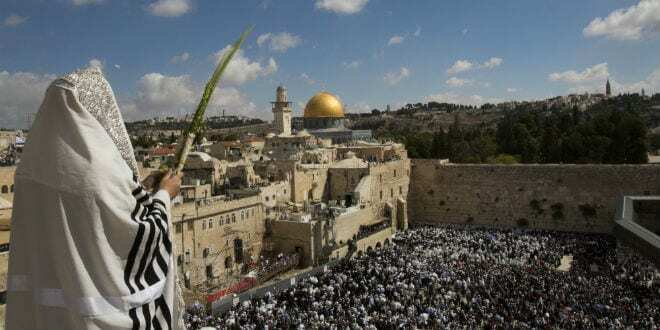 The Director-General of UNESCO Irina Bokova has been adamant in her attempts to erase all attempts of the State of Israel to its holiest site; where Solomon and King Herod’s Temple once stood. Unfortunately for her, the United Nation’s Director-General of UNESCO Irina Bokova does not have any power or authority in the courts of heaven before the Throne of G-d. She is impotent in her demands for they have no legal rendering in either the Written or the Oral Torah Law concerning ownership of the Temple Mount and for that matter the entire Land of Israel. In the meantime, there is an up-swelling of support to follow the mandates of the G-d of Israel, not only with the Haredi, or Observant and Orthodox Jewish citizens for this “elevated state of spiritual awareness” is also beginning to ricochet not only within Israel but from all around the world. 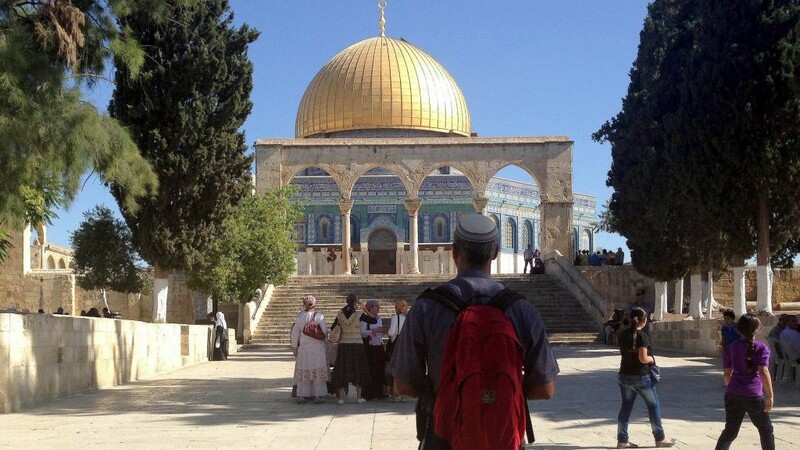 The recent directive from the United Nation’s Director-General of UNESCO Irina Bokova was aimed to effectively ban Jews and other non-Muslims (Christians) from setting foot in the Temple Mount complex. The Anti-Semitic intent of Irina Bokova was explicitly clear in its blatant referral to the State of Israel as an “occupying power” in Shomron and Judah, the ancient homeland of the Jews in the Southern Kingdom of Judea, and the Lost Ten Tribes of the House of Israel in the Northern Kingdom of Israel. Second came the directive that all official documents of the UN must refer to the Temple Mount only as Al Aqsa, referring to the Islamic Mosque on the Temple Mount that is silver domed. Again was the attempt to forbid any reference to the Jewish Temple Mount as the site of King Solomon’s and King Herod’s Temples. The Sanhedrin sent a sharp response to UNESCO’s Irina Bokova in early July after UNESCO’s attempts to erase all Jewish claims to this holy site on Mount Moriah where Abraham offered his son up to the Creator G-d of Israel. Yet it appeared that Divine intervention came to protect His people when UNESCO again began to attack the Jewish heritage rights to the land of Israel. UNESCO was planning to schedule a vote by the UNESCO’s World Heritage Committee in Istanbul in October, yet the finger of the Divine shut down the meeting due to the attempted coup in Turkey. The facts were soon to arrive to attest to the statements above when the Sanhedrin went on to cite the incontrovertible archaeological evidence of the Jewish claims to the Temple Mount and Israel, and point out the absolute lack of any such proof for Muslim claims to the site predating the Muslim conquest of Jerusalem in 636 CE. As we approach the Year of the Jubilee and the anticipated anointment of King Messiah (Melekh Ha Maschiach), our eyes must stay open and awake to the potential divine manifestation as our lives will begin to accelerate towards our futuristic 4th dimensional state of messianic consciousness. It should awaken us to our divine appointment as the Temple Mount continues to become the most coveted place on Planet Earth. Soon, upwards to 2-3 billion of the descendants of the Lost Ten Tribes of the House of Israel will be on a destined course of aliyah heading towards their final redemption back to the mountains of Israel in Shomron, Galilee, Lebanon, Syria, and Basham to the east of the Jordan River. As the nations of the world are devolving into a world-wide economic collapse and terror is reigning supreme, El Shaddai, the “Almighty G-d of Israel” and the forces of Light under the guidance of Michael the Archangel are surrounding the Holy Land and the Holy City of Jerusalem. Take a moment of time to meditate what is happening before our eyes. If you have “eyes that can see” today is the time to behold what the G-d of Israel is transforming in the world around us. It is not a coincidence that in the land of Israel, the Jewish people are rising to the forefront and saying; “The L-rd is our G-d, we will serve the L-rd.” At the same, the Lost Ten Tribes of the House of Israel are beginning to understand that the “Lands of their dwelling”, are now becoming habitat of peoples who seek their destruction as forewarned in the 2004 Pentagon Report stating in part by Destination Yisrael article titled, “Nibiru, Nemesis, or Planet X returns to its Soon-to-Come Prophetic Apocalypse over Planet Earth”. It is time to come to the understanding that the “days of our dwelling” for the Lost Ten Tribes of the House of Israel located in Northern Europe and America along with the British colonies are about over. The global economic disorder is on the verge of collapse and soon the Maschiach ben David (Messiah son of David) will be arriving by the interdimensional forces of Light on a rescue mission for Planet Earth. We must not be so arrogant to think that the Maschiach ben Dovid will come when we choose him to be. As so many will ask, if it is so important that a temple service be instituted before King Messiah (Melekh HaMaschiach) does come and reveal himself then why have the Jews not tried before this time to restart the temple sacrifice? They have but the G-d of Israel through the legal medium of the Israeli Supreme Court in 2007 denied their request and we must accept that this was the will of HaShem, the G-d of Israel. Yet, G-d gave His next response on the eve of Rosh Hashanah 2008 when the Congress of the United States refused to vote on the TARPA and immediately the New York Stock Exchange collapsed a total of 777.68 points (777 the number of the Divine plus 68, the Jewish year of 5768 (Year 2008). Later a petition was submitted by Rabbi Adin Steinsalz, including numerous rabbis and Jewish organizations including the Temple Institute, seeking to perform the sacrificial offering on the Temple Mount. The secular Israeli government in fear of an international upheaval by the inter-religious relations between America and Baghdad denied Rabbi Adin Steinsalz’s request, and the decision that was upheld by the Israeli Supreme Court. So, the Temple Institute has continued to this very Jubilee year filing every year petitions to the Jerusalem Temple police and the Israeli Supreme Court to conduct a Pesach (Passover) sacrifice on the Temple Mount. The Fall High Holiday Season of Harvest of Judaism is at the doorway potentially ready to begin in early Fall Festival Season in October, 2016 (Jewish Year 5777). If any year in the last 2000 years is highly anticipated to be the opening to the final vortex for mankind to go through the gates into Gan Eden; this is the year! Billions of people around the world will be watching and waiting to see what will happen. Will the Maschiach be revealed at this time? With there be a forecast of global catastrophes that will fall upon all the nations of the world? Anyone who is not watching today what is happening in the world is clueless! Billions of people around the world will be watching and waiting to see what will happen. Will the Maschiach be revealed at this time? With there be a forecast of global catastrophes that will fall upon all the nations of the world? Anyone who is not watching is clueless! So consider today, that potentially the world as you know it to be may be on the teetering shores of the of the Olam HaZeh (our Present World) while Gan Eden is moving closer and closer to Planet Earth preparing to usher in a new era of higher dimensional Messianic Consciousness with the awakening or the revealing of Metatron, the Angel of the Divine Present who is soon to be Melekh HaMaschiach (King Messiah).